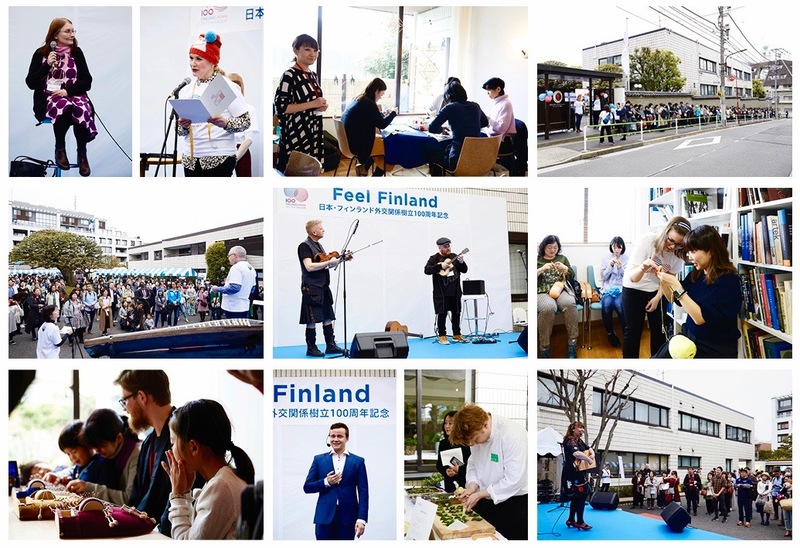 Our heartfelt thanks to all of you who attended Feel Finland – the biggest cultural event of this year that marks the centennial of the diplomatic relations between Finland and Japan! The event was historic in many ways – it was the largest Team Finland collaboration ever, it was the first open day at the Embassy of Finland’s compound and it was a major success with a total of 1200 participants! Special thanks to our excellent performers Vilma Timonen, Marianne Backlén, Mutsuko and Hisashi Yamamoto, Sami Tallberg, Tarmo Thorström, Miiko Toiviainen as well as Tango Alakulo (Jarmo Julkunen and Christian Garrick)! The first Knitting club with Novita Moomin yarns was a huge success! The workshop attracted 90 participants spread over three different sessions – the youngest participant being a 9-year-old boy! Many thanks to our sponsor Novita Knits for the yarns, needles and patterns! And finally, our utmost thanks to the magnificent Team Finland in Tokyo as well as the outstanding staff of the Finnish Institute in Japan! TOGETHER – we made this day an unforgettable one!